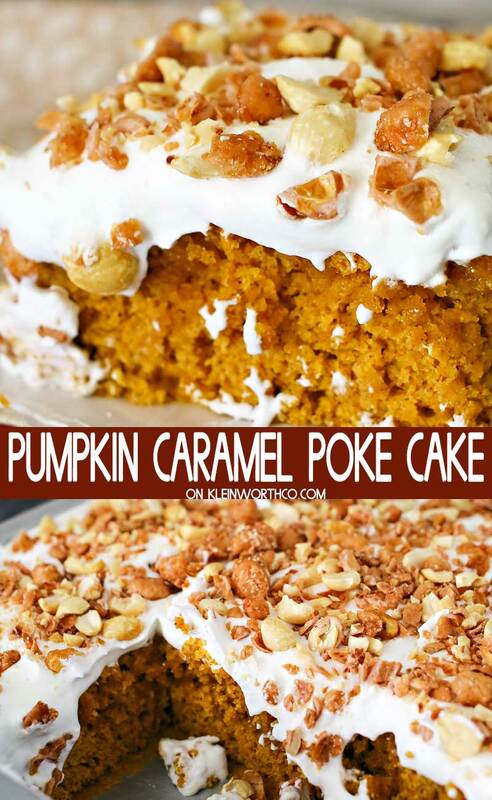 Pumpkin Caramel Poke Cake is an easy to make fall dessert. Loaded with pumpkin & sweet caramel, this will be your new favorite fall treat. 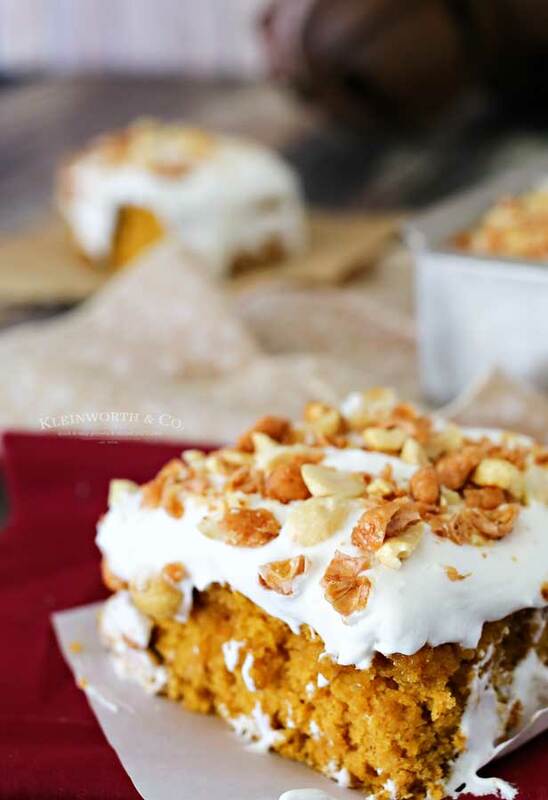 Who loves awesome fall flavors like pumpkin? 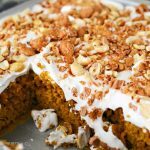 My family just adores this time of year because we bake like crazy & the results usually involve pumpkin & caramel, like this Pumpkin Caramel Poke Cake. I mean, pumpkin & caramel are arguably the best flavors- like ever! So warm & comforting. We can’t get enough. So I just had to combine the two & whip up this super simple cake that I know you’ll love as much as we do. My mom, being a professional cake decorator, would have loved these cakes because of their ease. 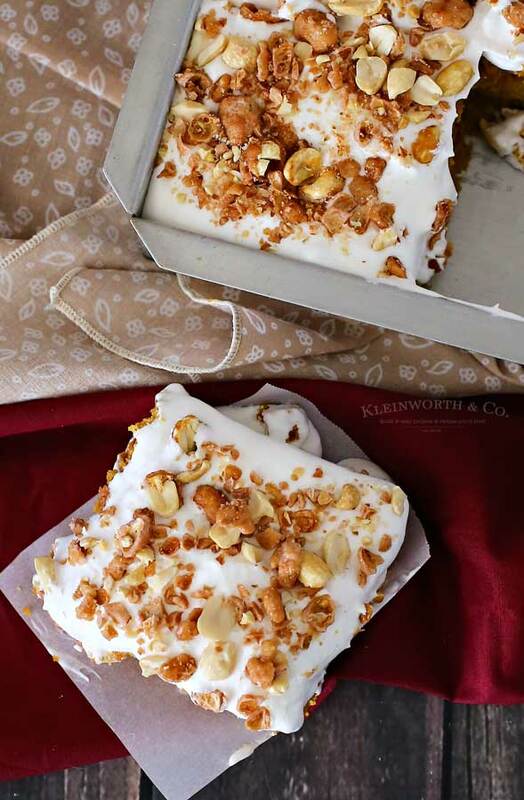 With the amount of time, she would spend decorating cakes, being able to have something so sinfully decadent & delicious with a relatively short amount of prep time would have made her so incredibly happy. Especially because we really loved being able to share a piece of cake together. We were all about the cake when we had moments to share & poke cakes are perfect for that. If you have never made a poke cake before, you are in for a treat. 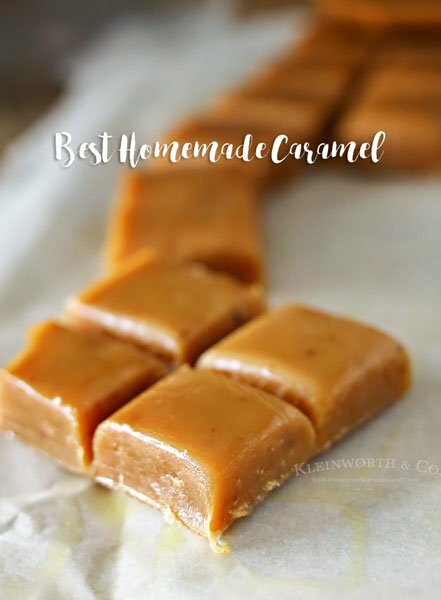 You basically jump delicious caramel on top of a freshly baked cake. Then it soaks into the holes & leaves little pockets of goodness when you take each bite later. I’m telling you, this is AH-MAZ-IMG! You could really just pour any flavor you choose on there. 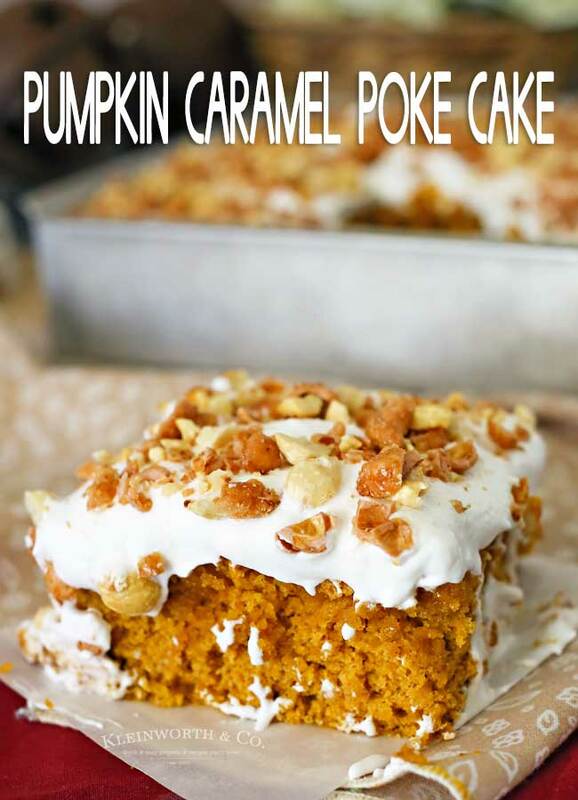 But oh how yummy it is to add caramel to an already great spice cake mixed with pumpkin. 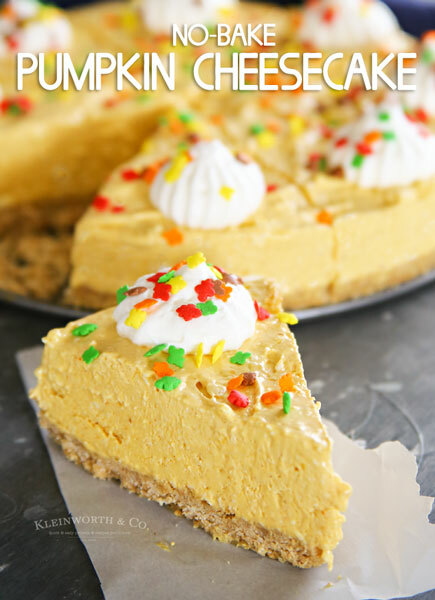 It’s all the favorites of fall in one incredible dessert. 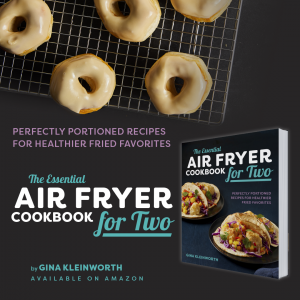 Can I make this recipe with whipped topping instead of frosting? Absolutely. That makes it even easier & faster to create this cake. It is equally delicious, so I would recommend trying it both ways. What sort of toppings should I add? I personally love to add nuts like pecans or walnuts. But we have also made this with toffee covered nuts, crumbled toffee, chocolate chips & even chopped peanut butter cups. 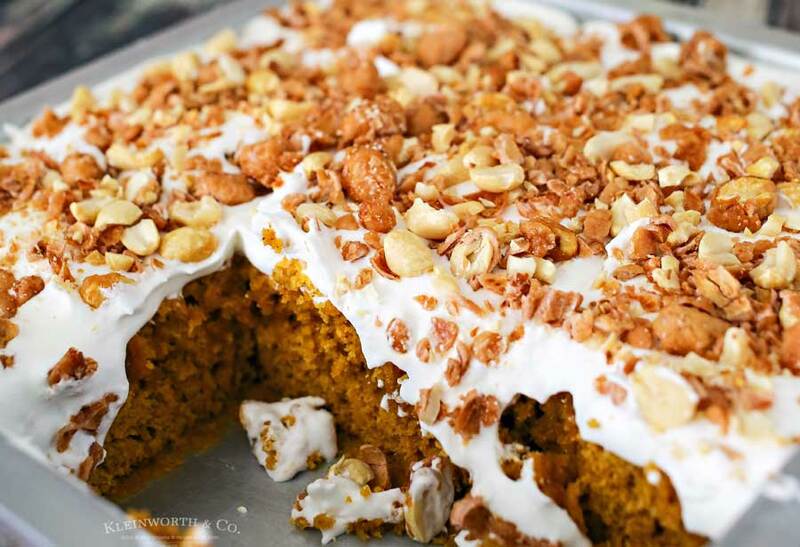 Combine cake mix & pumpkin & mix. Poke holes all over the baked cake. Pour caramel sauce all over. Top with frosting & decorations like nuts or sprinkles. 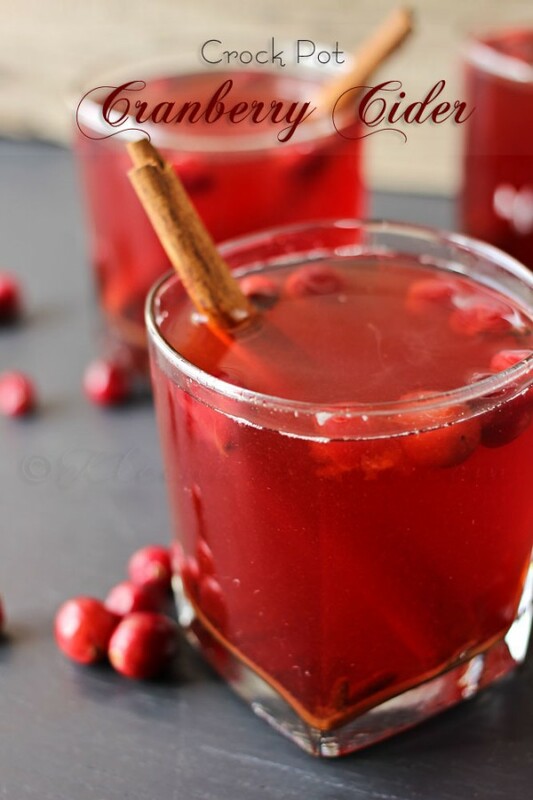 I promise, this will be your new favorite fall dessert! 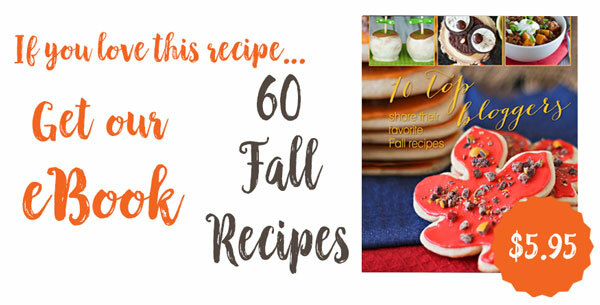 Looking for more awesome fall recipes? 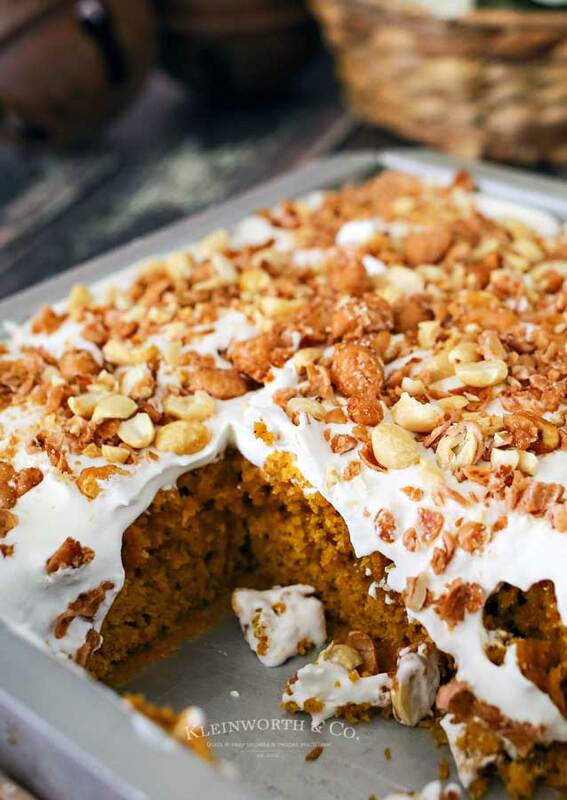 Combine cake mix & pumpkin in a large bowl & mix well. Bake 30-35 minutes or until toothpick test is clean. Remove from oven & use the handle of a wooden spoon to poke holes all over the baked cake. Pour jar of caramel sauce all over the cake. Cream together cream cheese, confectioners sugar & milk. Top cake with frosting & decorations like nuts or sprinkles. I think this is going to be my new favorite cake!! Can’t wait to try!